Over the past couple of years we have noticed a big change in the way signage and bollards are illuminated. Traditionally signs and bollards have always been lit with PL compact fluorescent lamp lamps, often in the 2 lamp configuration. With lamp wattages in the region of 8 Watt and 11 Watt, depending on the size of the sign face being lit. 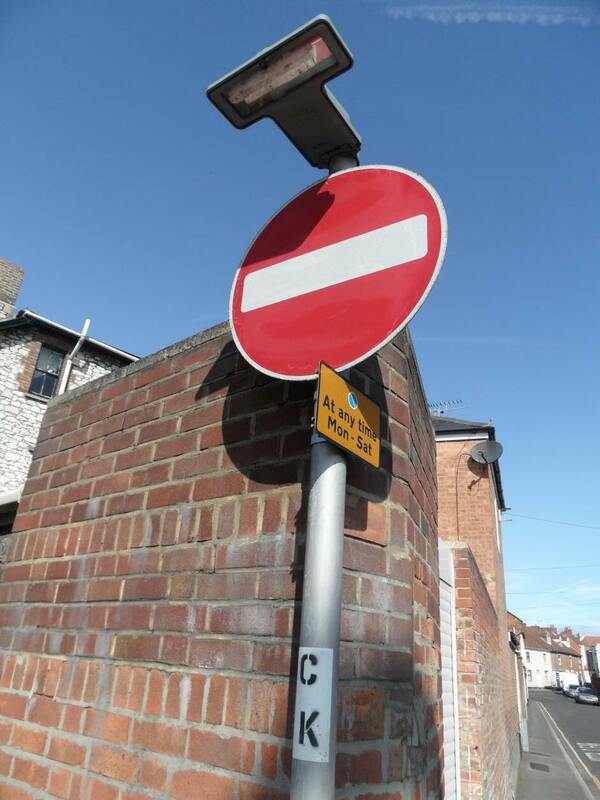 Below is an image of a typical sign lighting lantern found on the UK road network over the last 20 years. You will notice that lots of local authorities are moving towards using LED lighting within sign units. Using an LED sign lighting lantern offers an energy saving, reduction in maintenance visits, with a massive reduction in failure rate and most importantly, reduction of your carbon emission/footprint. An LED sign lighting lantern is made up of an array of LED’s and specified drivers specially designed and manufactured to illuminated the sign face to the required British Standard lighting levels. For many years the traditional bollard would be either base lit over internally lit using an 11 Watt compact fluorescent lamp which would either 24 hour turn or be controlled via a miniature photocell. These bollards would require either a 230v LV supply or a 24v cable from an adjacent lighting column or pillar. The department for the transport has in the last few years given permission for non illuminated rebound bollards to be used in certain circumstances. This is often on splitter islands where traffic signals are present or on refuge islands where there is a lit centre island post (with diagram 610 Keep left aspect signs). 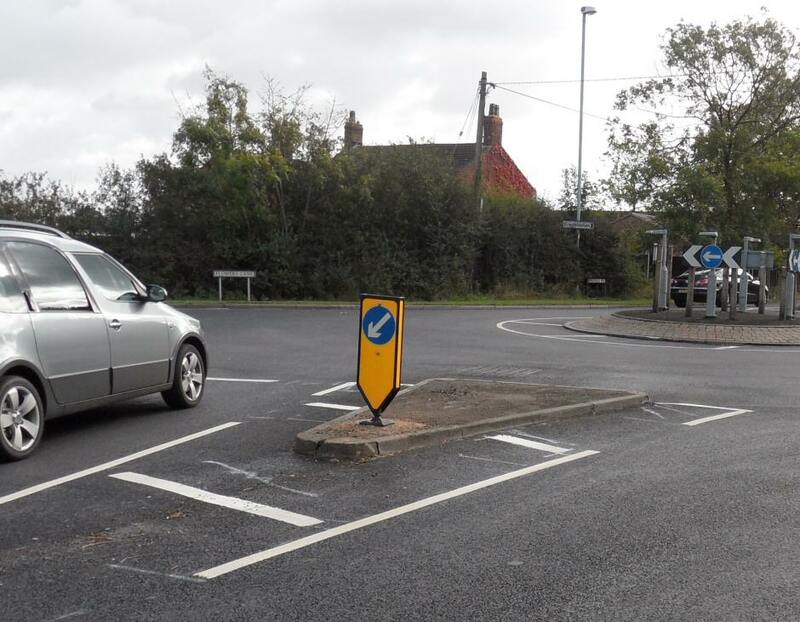 A vast amount of local authorities now use this method for bollards. Solar powered lit bollards are also becoming popular as we push towards reducing our carbon footprint and installation costs. 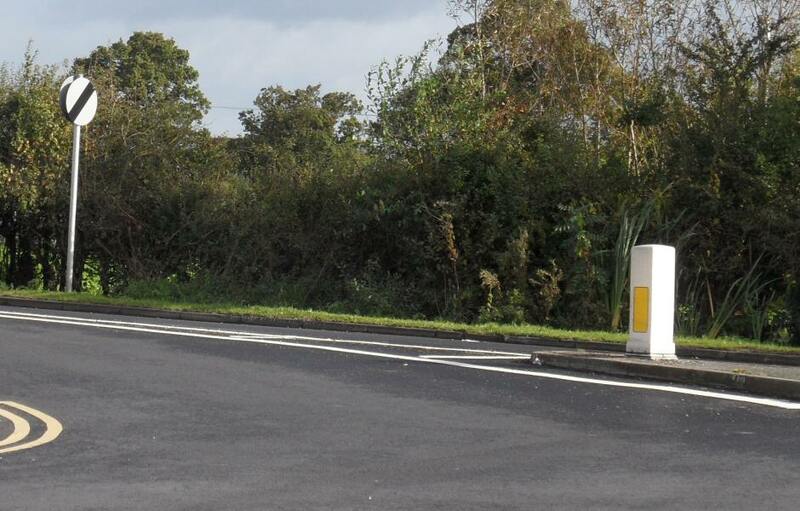 The more conventional types of base lit bollards are still common place throughout UK roads however you will notice a gradual reduction over the coming years with the push towards energy reduction and in general, a reduction in maintenance costs as safer and more reliable products come into the market with the introduction of LED Lighting. LED Lighting is rapidly becoming the modern choice for lighting designs on section 38 and section 278 highway lighting design schemes which MMA Lighting Consultancy undertake.